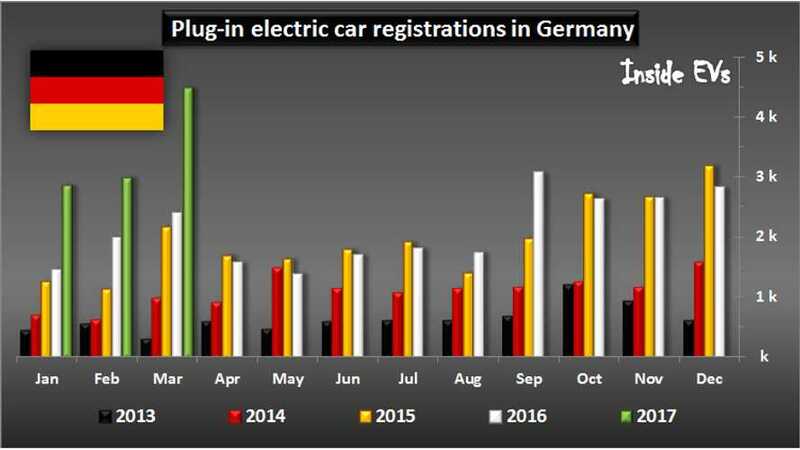 The German plug-in electric car market is expanding like never before, and to a new all-time high last month. In March, a record 4,479 plug-ins were registered, which was 87% more than year ago. Even more significantly, the monthly result was 41% higher than previous record set back in December of 2015. 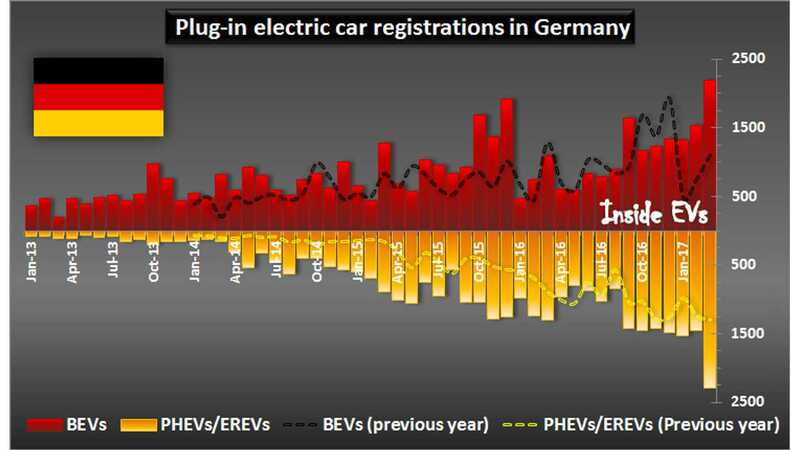 Plug-in market share stands at 1.25%! 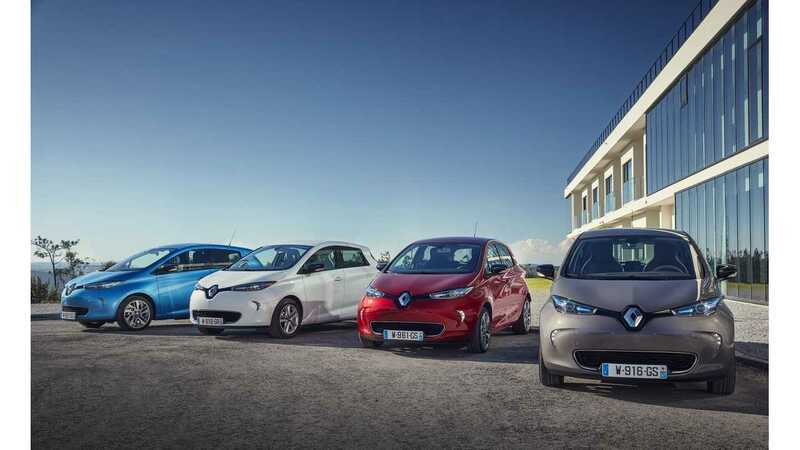 The greatest share of the sales fell to the Renault ZOE, which was boosted by its longer-range Z.E. 40 offering, and achieved a personal best 587 sales! This is what a range increase really means - a lot more sales. 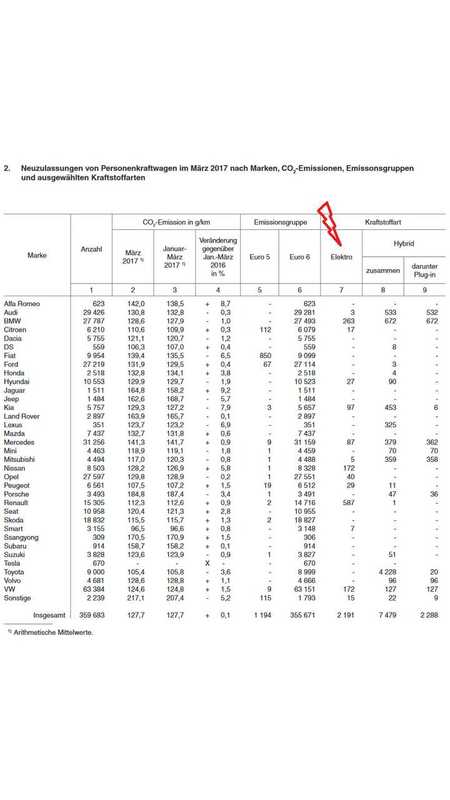 Also Tesla has a couple reasons to be happy with Germany's sales record, as both the Model S and Model X were a big part of the gains - the number of registrations amounted to 457 and 213 respectively (for a total of 670 deliveries). On the plug-in hybrid side, the Audi A3 e-tron took the crown with 446 deliveries, followed by the Mitsubishi Outlander PHEV at 358 . 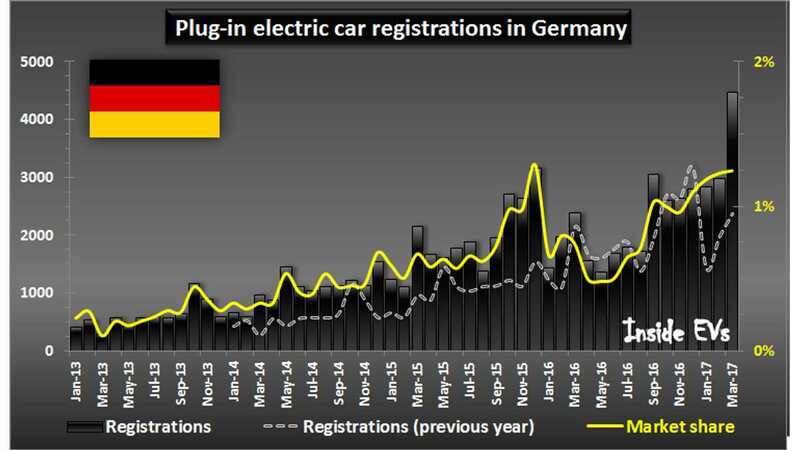 Also of interest: 40 Opel Ampera-e (all demo cars) and 70 plug-in hybrid MINIs were registered too.